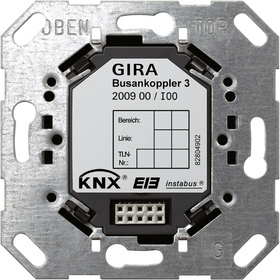 In addition, a remote temperature sensor can be connected to the bus coupler 3 with remote sensor. This enables a room temperature controller to record the temperature at an additional measuring point. The remote sensor functions only in combination with the pushbutton sensor 3 Plus.